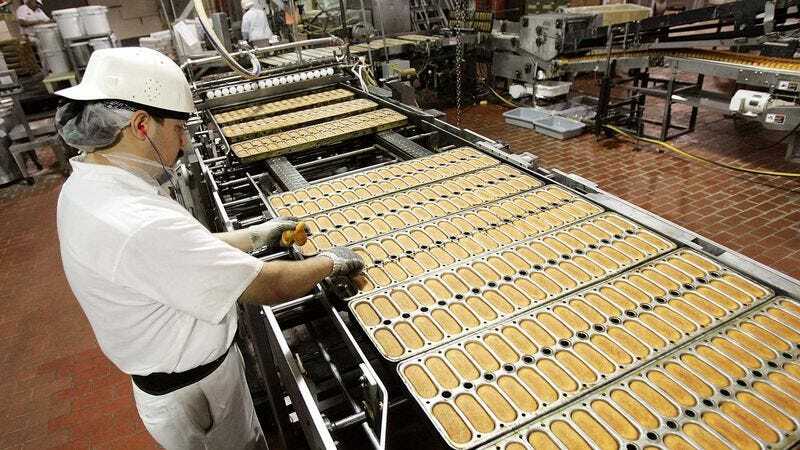 GRAND PRAIRIE, TX—Following Friday’s announcement that Hostess Brands was shuttering its facilities and ceasing operations, laid-off employee Howard Brock told reporters he was now in the difficult position of finding creme-injection work with another company. “The economy is tough right now, so I hope I can find another job filling cake interiors with creme,” said Brock, a veteran creme injector with more than 15 years experience injecting chocolate, vanilla, and peanut butter cremes for Hostess. “I’ve also done some unskilled work as a frosting layer, coconut duster, and icing squiggler, but I hope it never comes to that. Luckily for me, no matter how bad the economy gets, companies are always going to need people who know how to inject food products with rich creme centers.” At press time, Brock had reportedly opted for freelance creme-injecting work until he could find a more permanent position.